This book focus on one of the key strategies used in mathematical problem solving which is "Estimation”. 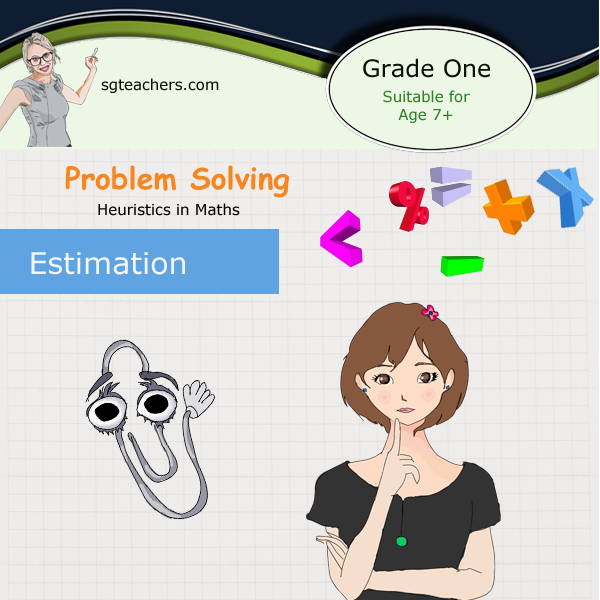 The skill of estimation assists students in many work in mathematics. They are taught to develop the strategy of 'eyeballing' a small group and using this benchmark to estimate how many are there in a larger group. There are many ways to make estimation including rounding, finding compatible numbers, bracketing and compensating. Recognition of patterns in a collection will become more easier as they trained the "estimation" skill. This will be a great help when they are dealing with larger numbers in the future.